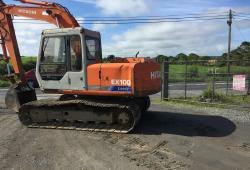 Hitachi EX100-1Hitachi EX100-1 10 Ton Excavator, In very original condition, Undercarriage 60% good, 700mm pads, Good engine & pumps, Tight machine to operate, No movement on slew ring, Tidy inside Cab, Can ship to any major port worldwide. 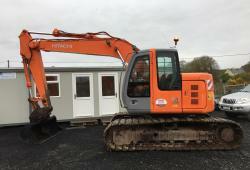 Hitachi EX60-5Hitachi EX60-5 Machine in mint condition, Undercarriage 70% good, Fully serviced, Tidy inside cab, Hard to find in this condition. 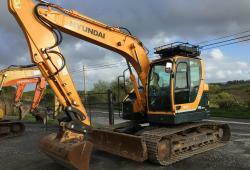 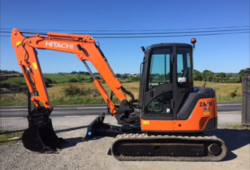 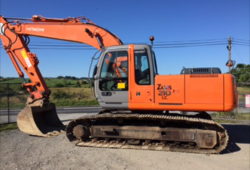 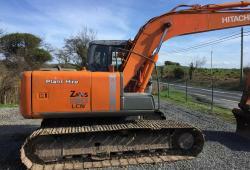 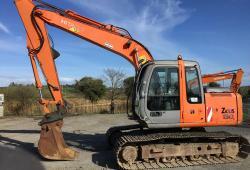 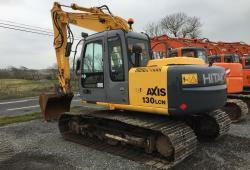 Hitachi EX120-5EHitachi EX120-5E Serial No:1E8P055112 Good machine all round. 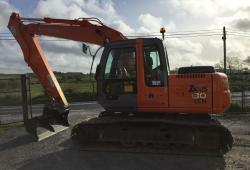 Undercarriage 50-60% good 700mm pads. 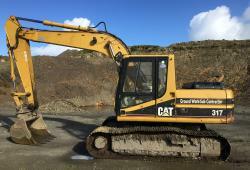 No cracks or welds on arm. 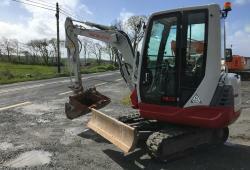 No movement on slew-ring. 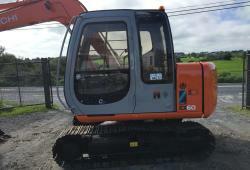 Cab tidy inside. 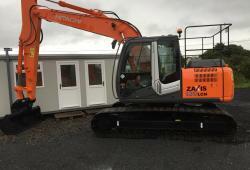 Can ship to any major port worldwide. 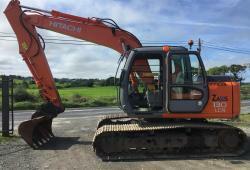 Hitachi EX60-5Hitachi EX60-5 Machine in really good order Year 2000, 6200 Hours, Undercarriage 60% good 500mm pads, Quick hitch, Selection of buckets, Fully serviced. 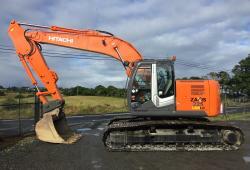 Hitachi ZX130LCNHitachi ZX130LCN Really nice original machine, German imported, Year 2008, 6300 Hours, New undercarriage, 900mm pads Check valves, Double locking hitch, Hammer piping, Auxiliary piping, A lot of extras as can be seen in the photos. 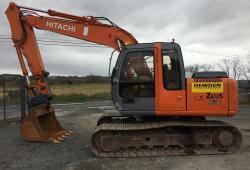 Hitachi ZX120HITACHI ZX120 IN GOOD ORIGINAL CONDITION. 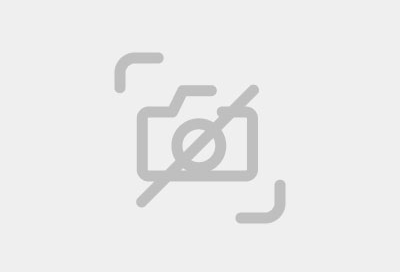 YEAR 2004. 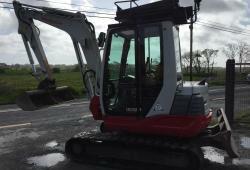 UNDERCARRIAGE 50%-60% 700MM PADS NO CRACKS OR WELDS ON BOOM OR DIPPER ARM.. PUMP, ENGINE & SLEW RING IN GOOD WORKING ORDER. 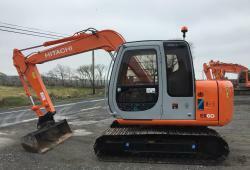 CAN SHIP TO ANY MAJOR PORT WORLDWIDE.